I started riding at age 5 and did a little horse racing and gaming with my trusty steeds as a teenager. 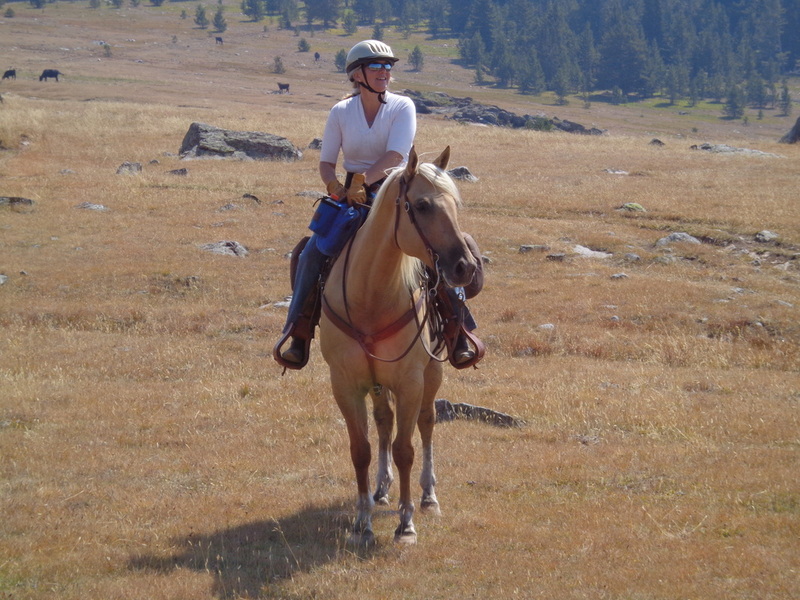 I then spent years trail riding my mare, Lena who I owned for 33 years, and my gelding Shiloh who I owned for 28 years. I thought I’d be done with horses once Lena and Shiloh passed away. My sister had other plans and somehow I ended up with a yearling colt (the horse I have now named Parker). In the first 24 hours I owned Parker, he nearly cut off his hind legs in a fence. The vet gave Parker a 50/50 chance he’d survive and marginal odds he’d ever be sound. Today I’m grateful for every single moment I spend in the saddle riding him. Have you ever noticed the right people seem to show up in your life when you need them? My riding coach, Janie Huot (Horses I’ve Known), has been both my riding instructor and has taught me to teach Parker so many skills that have helped us in the NLVRHA events. I know this isn’t the easy way to get a well-broke horse, but I’m having so much fun in the process! The reason I believe whole-heartedly in the mission of NLVRHA is because the focus is on learning in a supporting framework for horses and people to become better and better together. In addition, the NLVRHA events are the MOST FUN I have ever had on a horse! Some people shy away from anything that looks like competition, but what is the best about NLVRHA is that everyone cheers you on even if they are in the same class with you. Everyone helps pick you up and give you heartfelt encouragement when you need it most. They also help you do a happy dance when you and your horse accomplish something amazing. I’m so grateful to my friend Kim who twisted my arm and talked me into giving NLVRHA a try. The other competitors have been very welcoming and helpful. I plan to pay their assistance forward in clinics and competitions to come. I love the Northern Light group and hope to help make it bigger.